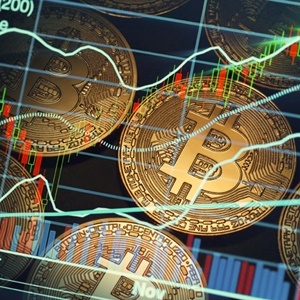 The biggest digital coin on Monday rose as much as 1.6% to $4,135.60, the top intraday level since December, according to weekday trading data compiled by Bloomberg. So-called alternative coins rallied more, with Dash jumping as much as 31% and Monero increasing as much as 10%. Bitcoin is close to breaking above an intraday level set on Christmas Eve. That day marked the end of a US stocks selloff, after which the S&P 500 Index started a rally that continued through March and reversed most of the fourth-quarter rout. The digital token’s comeback has been so gradual that its 30-day volatility has sunk almost to levels last seen before the 2017 cryptocurrency mania, when it bounded close to $20 000 and grabbed worldwide attention. The move upward has opened a new buying trend, according to the GTI VERA Convergence Divergence Indicator, a tool used by traders who look at price history to predict future direction. The measure suggests it could see further upside, the last buy signal was triggered, it resulted in a 17% rally in under two months.